What was once known as Hell’s Kitchen and lately one of the grittiest parts of Manhattan is in the process of becoming an area packed with flashy skyscrapers. At the head of this mega project stands a construction project manager. 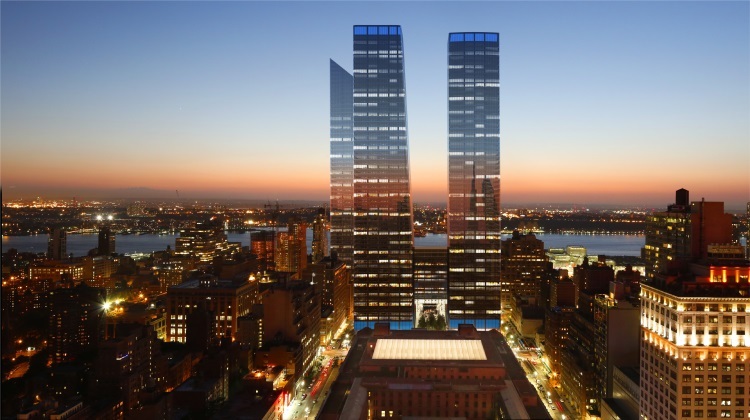 Within in the upcoming decade, 20 new buildings including 17 glass-monoliths are expected to be completed, giving the formerly “Wild, Wild West” of Manhattan a new face. Nicknamed, not always complimentary, “Hong Kong on the Hudson,” the entire construction site spans an area starting at the West Side Highway all the way to 9th Avenue. At its full completion, the complex located between 30th and 34th streets will offer 22 million square feet of office, residential, and recreational space. Such an ambitious project requires detailed planning and the joined forces of an armada of workers. At the head of this and any other construction project, from cementing a mall’s parking lot to building a residential home, is the project manager. His primary responsibility is planning the construction project as well as overseeing its progress and the team along the way. The huge responsibility pays off, according to the Bureau of Labor Statistics, construction project managers earn on average $84,000 a year with expected growth of about 17 per cent the next 10 years. Before even the first delve of spade, work on a construction management project already begins. After going over a proposed project, the project manager has to estimate how long it will take to complete the project. When determining the project road map, it is important to schedule deliverables and set milestones that the construction crew has to stick to for the project to be finished on time in a cost-effective manner. This brings us to another crucial pre-construction task: estimating the project costs. The construction company will place a bid for the project based on the project manager’s estimate on how costly the project is going to be, taking all costs for material and man power into account. Even though the project manager might not be drilling holes and hammering nails, he is the one who needs to make sure that work is getting done in a timely and cost-effective manner. That means he has to coordinate not only the construction workers but also has to ensure that all the equipment and materials necessary to complete the job are available. Based on the overall project goals set in the contract between the construction company and client, the project manager determines micro-goals that need to be accomplished in the different phases of the construction process. It is the project manger’s responsibility to assign a sufficient number of construction workers and supplies to the tasks that are required to achieve the goals. Communication is key in any project and even more so in one that is as complex as a construction project. It is the project manager’s job to keep all stakeholders in the loop; this means providing up-to-date informing both on progress and possible stumbling stones that the construction team encounters along the way. Surprise delays will only cause even greater frustration at a later point. It is useful to allow for a feedback loop from the field workers to the back office. The construction workers on site are the first ones to notice if deadlines and costs are at risk to be overrun. Additionally, including the workers in the greater scheme of the project increases their motivation and work satisfaction. No matter how well-planned a project is, a great variety of factors present risk that can never be fully ruled out: site conditions, assumptions made on the design, building regulations, environmental concerns and conditions. Therefore, an essential element of construction project management is limiting the amount of trouble that needs to be “shot”. Project managers should do a careful risk analysis as part of the initial project planning process and make sure that everyone involved is aware of the risks. Being aware of the potential risks that might occur during the construction helps to react faster and that saves both time and money. From "Hell's Kitchen" to "Hong Kong on the Hudson" - A Construction Project Manager's Job - InLoox • Copyright 1999-2019 © InLoox, Inc. All rights reserved.